Next JMD meeting is at Pottsville, Merlin, Oregon. Potluck at 6:00 PM, meeting starts at 6:30 PM. See Meetings for details. Next SWOMA Meeting: Next to Josephine County Adult Community, Grants Pass, Oregon, at 3rd and C Streets. Potluck at 6:00 PM, meeting starts at 6:30 PM. See Meetings for details. Anti-Production & Anti-Property and Rights Threats! Alert! WE NEED ORGANIZED HELP TO SAVE YOUR CONGRESSIONALLY GRANTED PROPERTIES Contact JMD To Help Us Help You Help EVERYONE. Protecting Locateable mineral entryman & prospectors and other Mining Law beneficiaries since Establishment. 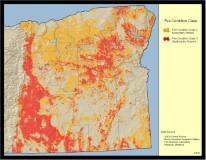 Regarding mining, the State of Oregon promotes that Oregon “is open for resource business”. Contrary to this promotion, but consistent with its unlawful prohibition legislation, there is no risk capital assistance available for economic development of mining despite historical lawful obligations and duties requiring it. 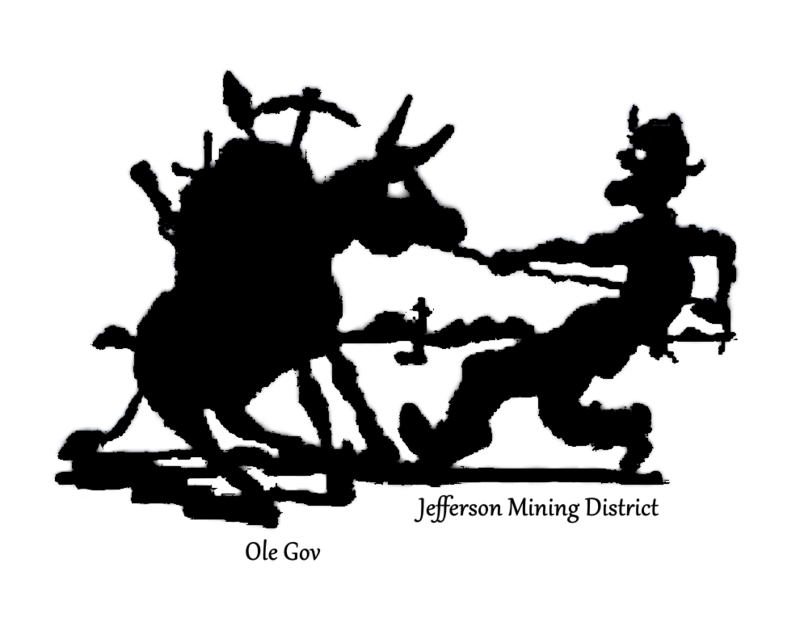 To overcome these Governmental obstructions and myths, Jefferson Mining District presented to Baker County Regional Economic Development that from state-known conservative figures, of 11 known mines in Baker county, $500 million annual out-of-ground wealth yield is available to create, by the state recognized 20:1 Economic Multiplier Effect for derivative business stimulation, 10 Billions dollars of economic growth annually in Baker county alone. This presentation to the regional economic adviser of available but untapped production-based wealth value was met with antagonism and which did nothing to counter that the state actually has a not open for business attitude. Jefferson Mining District will continue to press to make sure Oregon really is open for the businesses producers provide for and the local products people are currently deprived of. Removing these obstructions is imperative. Private property and wealth generation is the foundation which makes America unparalleled in the World. Also exposing how to deal with the Consensus Kakistocracy intent on infringing your antecedent or granted rights, property and so much more. WARNING: A JMD Assemblyman was approached by an EOMA representative with a FRAUDULENT PERMIT INDUCEMENT REGARDING MINING & WATER RIGHTS promoting MMAC style "mining district authority" the effect of which would be to extort, coerce or unlawfully infringe those granted mining & water rights. It violates the JMD permanent injunction against the State. See JMD Lawsuit Victory Below. See the Mineral Grants starting in 1866 and the Oregon Water Law GRANT of 1899 below. Instead, the promoted "authority" was pursuant to MMAC FRAUDULENT or Misrepresented "mining district" water authority having no basis in law. Even if it were a lawful permit application, the application is a serious Safety & Security breach to all grantees. And caused so because agencies do not consult with EACH grantee as required by law. Don't Be Deceived. Don't sign the DEQ permit document. EOMA and MMAC are not your friends. Educate yourself to the fact. MMAC-assisted "mining districts" are State legal entities, not actual mining districts. Contact us and we can explain it through properly interpreted law. Public Land for the People has stated, "The relationship between PLP and MMAC is stronger than ever and will continue to grow in 2017" fully supporting this deception against you, grantees and other beneficiaries, to our detriment. Regarding protecting mineral property in asserting the grants, not compromising granted Locateable mineral rights by not straddling the unlawfully imposed regulatory fence, "I'm having trouble with my Board of Directors on that." - Jerry Hobbs. Stated at a GPAA sponsored Gold Show, Roseburg. Do not compromise your property, rights, or remedies, placing them in the hands of foreign corporate interests. Do Not Be Fooled By Sly Shysters Peddling Foreign Agency Advisory-assisted "mining districts" as legitimate. NOTE: A MMAC-assisted "mining district", or otherwise, organized under state or federal law, is not a non-dependent miner's government. Where Accountability is needed, the planned legislation, a cob-job of Applied Ignorance, is also inconsistent and contrary to the obligations and duties of both the Congress and the States and is not a "fix" for the otherwise adequate mining law. Another push for an ill-informed, ill-advised adulteration to mining law is not what is needed. Accountability to existing law is what is needed. Why won't MMAC & Cohorts answer to their misrepresentations? IN SUMMARY: Advisory Councils, like MMAC, are not mining districts, cannot represent mining districts and do not actually Coordinate but are merely part of a Government-sponsored consensus process only advising agency pre-determinations of which no legitimate mining district can be associated. A "mining district" formed under the laws of the state is not a congressionally acknowledged miner's government and may only collaborate or cooperate, but not Coordinate as an actual miner's government. READ THE LAW AND PROPERLY INTERPRET AND APPLY IT. Don't Be Deceived By Pretenders & Con-artists. Hour 1: Behind The Woodshed - March 22, 2015. Government-sponsored consensus processes are not the traditional forums in which policies are made, administered, or adjudicated in a democracy. In traditional forums, the mechanisms for determining who participates directly in the writing and administration of law are spelled out in constitutions, charters, statutes, and rules. Consensus-seeking processes are adjuncts to traditional democratic processes; they can shift the locus of public decision making." NOTE: Participation in this Advisory Council implementing policy is contrary to the republic form of representative government obligated to protect your property. For instance, Section E of the EOMA, via MMAC collusive, DEQ Permit application, mentioned above, is in direct violation of the injunction against the State pursuant to JMD v Kitzhaber, 2013. Additionally, the promotion of the DEQ permit application is at least two felonies under state law. ORS 164.075 & 163.275. Jefferson Mining District Coordination Officers are effectively exposing the Federal and State Government intentions to harm producers and is creating a record of governmental abuses, such as the Sage Grouse science fraud, in preparation to enjoining these unlawful agendas should any plans contrary to the laws of the United States or inconsistent with any lawful requirements be promulgated. Don't rely on others to protect your property. Step up and take responsibility. Jefferson Mining District can help. 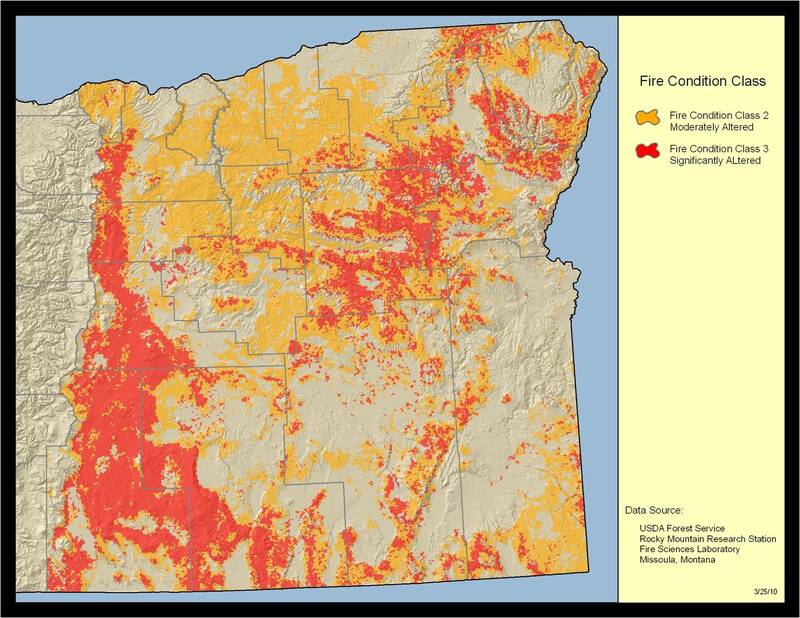 They will deny it, but the agencies are not managing to reduce fire and would be harvesting, not thinning, if they were. For FEMA Emergency $$$ & Land Control & Destruction. Putting an end to the EPA's "secret science"
Virtually all EPA regulations have been justified (sic) by nontransparent data and unverifiable claims. We think the BLM acted reasonably by weighing environmental concerns before agreeing to open lands adjacent to Antelope's existing mine near Douglas, Wyoming, the unanimous three-judge panel concluded. Could there be hidden agenda behind the latest drive by? "the reports suggest, the bullion banks are now exerting pressure on the basic gold suppliers - the miners - to supply gold directly to them"
Ninth Circuit holds agencies cannot amend rules through court settlements, i.e., "Sue and Settle agreements"
Three companies granted permits, including Tidewater (above), Freeman Rock and South Coast Lumber Co., will be allowed to continue gravel mining on the Chetco River until a remedy is worked out between government agencies and an environmental group. Because the Curry Pilot is such a Special Interest Rag, JMD includes instead the court decision so you can decide why the miners are still mining despite some failures of public participation. The court explains why better than the shills at the Pilot. The decision doesn't lead with more than a mention of the "Human Environment" priority, or that discharge into the river does not mean extraction from the river. But it has some interesting things to say, such as little if any harm due to mining. And Status Quo means mining where ever it has been done as in this case. "The appeals court also sharply criticized judge Richard Jones who presided over the original case. His decision raises "doubts as to whether he will be perceived as impartial in presiding over this high-profile case", Kozinski wrote." "In sum, the Fisheries Service's November 2008 BiOp relied on a selection of data, tests, and standards that did not always appear to be logical, obvious, or even rational." "Working with extremist pseudo-environmental groups using a controversial scheme dubbed "sue and settle"." Benewah County, Idaho, brings to light in a meeting with the USFS Region 1 Forester, Faye Krueger, and IPNF Forest Supervisor, Mary Farnsworth, how the USFS has failed to comply with the laws and ignored the economic situation facing western countryside communities. The USFS callous arrogance is apparent as the USFS continues to endanger the Health, Safety and Welfare, impoverishing the countryside. You can help stop the Bureaucratic Stranglehold. that are inconsistent with federal or state law. JMD Can Help You Protect Your Granted Ingress and Egress. Media Censorship Though invited by the Grants Pass Daily Courier editor Kevin Widdison, news12@thedailycourier.com to provide a statement for publication for a ""point-counterpoint" style" regarding the mineral withdrawal, the following timely filed Statement was nonethessless not published, censored, disrespecting congressional grantees, which we publish here: Jefferson Mining District and South West Oregon Mining Association Joint Statement on the proposed mineral withdrawal The PUBLIC NOTICE of the unlawfulness of the proceedings to date and that of the legislation proposed, as well the fiduciary breach by the congressmen and senators calling for withdrawal. Here is an example of a successful Coordination Assertion which stopped the Willowa-Whitman Travel Management Plan, TMP. Solution Revolution Event - flyer. UPDATE: Jefferson Mining District Assemblymen, as well, members of the South West Oregon Mining Association attended. Suggestions where provided by Jefferson Mining District Assemblymen orally which were intended to bring the Solution promoted, rather than revolutionary, to being more consistent with the land disposal laws and the obligations of the United States and of the States, as these are contractually, lawfully, and fiduciarily obligated to private producers, such as is fulfilled in the Mining Law, or in re-instituting the Homestead Act, among other things. Have You Seen This "ILLEGAL TRAIL" Surveillance Sign? 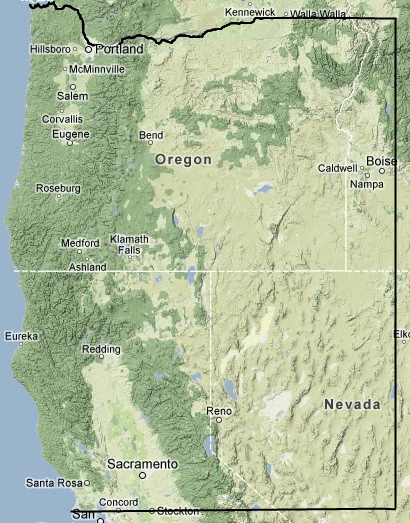 USFS to SW Oregon Miner: "If this was any other country, we'd just take you out!" Jefferson Mining District is copyright 2011 by Jefferson Mining District. All Rights Reserved.